Now you can keep track of your billable hours at your Mac, PC, iPhone, or Android – automatically. What makes the new Chrometa different? Our new mobile app for iPhone and Android turn your phone calls into billable time entries automatically. You can then click these entries to a timesheet, invoice, or billing system. Our new time capture plug-ins for Microsoft Outlook and Gmail create time entries for you. They show you the amount of time you spent on each e-mail, along with the e-mail address of whom you sent the e-mail to or who it was from. Result: you capture billable time spend on e-mail correspondence. No need to hit a timer – all this is done automatically for you. Previous versions of Chrometa recorded time in increments of one second. Now we’ve changed Chrometa to record time in increments of one minute. This way, we can reduce your time entries to a manageable number, avoiding confusion and complexity. No need to manually enter your time sheet into the billing software packages you use. Chrometa automatically transfers your time sheet into Clio, QuickBooks, and other practice management and accounting software, saving you time and effort. Our programmers revamped the Chrometa web site to make it 10X faster. That saves you time, especially when viewing and categorizing a week or month’s time at once. We’ve added a new report that makes it easy to identify unbilled time. It shows you which days you have uncategorized time for. You click on the report to go directly to that day. Attorneys and other professionals fail to bill from 10 to 25 percent of their legitimate billable hours due to bad recording habits, being too busy, disorganization, and poor team management. Chrometa can help you stop the bleeding and make sure you get paid for all the time you put in on every client you have. Get your Chrometa online demo today! 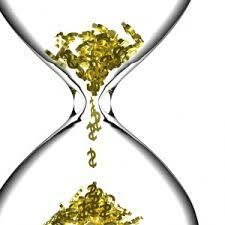 The more you wait, the more billable time you lose. So why wait? See Chrometa in action now. Previous articleDigital Signatures are forever?